Wonderfox and DCT have teamed up to offer a totally free giveaway of Video Converter Factory Pro. These licenses are currently valued at $49.95 each. This giveaway is currently active and will end on May 30th. Wonderfox also offers a free version of Video Converter Factory. You can read all about it and get your free copy by going to this Wonderfox HD Video Converter Pro page. This contest has now expired. Winners will be notified by eMail. Steganos has once again come through for us. They have graciously offered our DCT readers a chance to win one of five licenses for their NEW Online Shield VPN software. 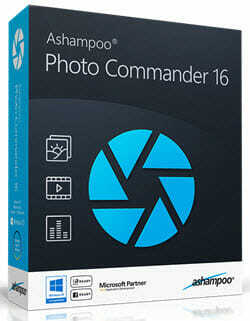 Each is a one-year license and is valued at $49.95 (US), and is good for five PCs. There is a seven-day free trial version available, as well as monthly and six-month license plans to choose from. 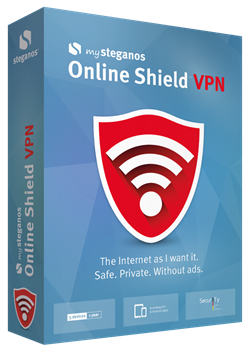 This contest has ended You can still read all about it by visiting this mySteganos Online Shield VPN Review & Giveaway page. Thank you to all who participated in our contest and congratulations to the winners! This contest is scheduled to begin on May 28 and run through June 7, 2018. Pay close attention so you don’t miss this great offer! Heimdal Security has graciously offered five licenses to our DCT readers for a giveaway contest. Each license is good for three years and they can each be used on four computers. That’s one heck of a deal! This contest is scheduled to begin on June 11th and will end on June 21, 2018. Heimdal Security is a fine product and is worth adding to your computer system as another layer of protection from the the nefarious on the Internet. Stay tuned so you don’t miss out on this one! Ashampoo is wonderful! They have once again offered our DCT readers a chance to win one of five licenses for their well-known Photo Commander program. This time around, it’s version 16. This contest is scheduled to begin on June 25th and end on July 5, 2018. This is a wonderful opportunity! Stay alert so you don’t miss out! Escape Motions is a new DCT contact who has generously offered five licenses for their interesting Rebelle 3 program. These are full lifetime licenses enjoying the same benefits as purchased copies. At the time of this writing these licenses are each valued at $89.99 (US). This giveaway contest is scheduled to begin on July 9 and will end on July 19, 2018. This is a great offer for those of you with an artistic bent. Keep a close eye on this so you don’t miss out on this great offer! iBoysoft has generously offered our DCT readers five licenses for their File Protector software. Each license is currently valued at $29.95, and is good for one PC for one year. This contest is scheduled to begin on July 23 and will end on August 3, 2018. Keep a sharp eye out for this great offer!